Ontario's new premier has removed the province's representative in Washington, D.C., from her position and it's not clear whether Doug Ford intends to replace Monique Smith or scrap the position. Her departure comes at a time when ongoing trade issues with the U.S. could impact Ontario's economy. Ontario Premier Doug Ford has removed the province's representative in Washington, D.C., from her position and it's unclear whether he intends to replace Monique Smith or cut the job. Smith confirmed to CBC News that she is returning to Canada and a spokeswoman for Ford indicated in an email that her time in D.C. is done. 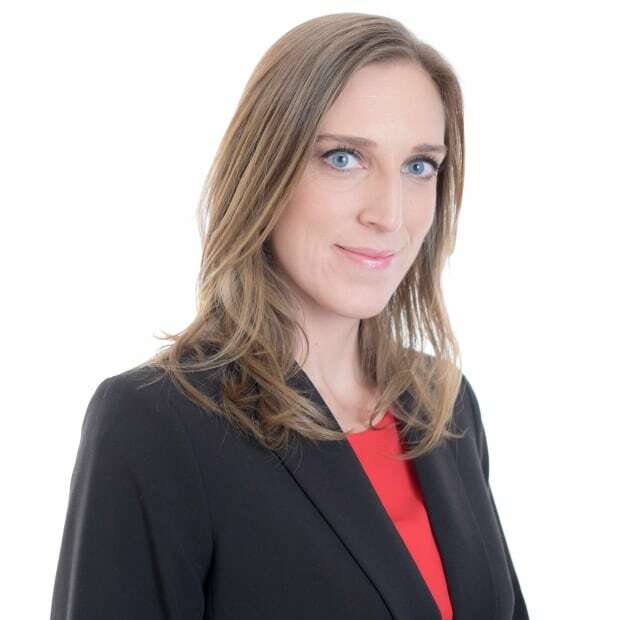 Her departure from the U.S.capital comes at a time when uncertainty and anxiety is circulating within Ontario's key economic sectors because of ongoing trade issues. "We thank Ms. Smith for her service," wrote Laryssa Waler. Waler said Ford is working closely with Jim Wilson, Ontario's new minister of economic development, job creation and trade, and the rest of the cabinet to "protect Ontario jobs and promote the importance of trade with our partners south of the border." Waler did not answer repeated questions about whether the PCs will keep the Washington position or cut it. 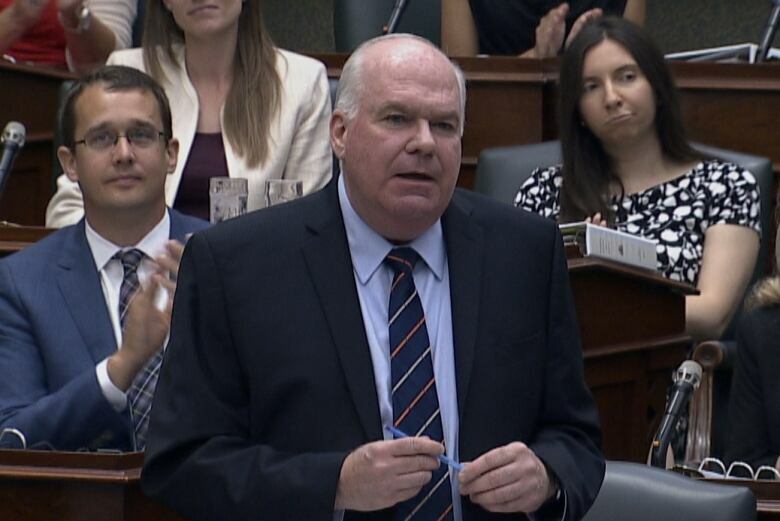 Meanwhile Wilson, a veteran MPP and former interim leader of Ontario's PC party, will be travelling to Washington this week to testify at a commerce department hearing on the auto industry. The U.S. department is investigating the imports of autos and auto parts, and there are concerns the probe could lead to tariffs similar to those imposed on Canada's steel and aluminum industries. "I look forward to speaking in defence of Ontario's auto industry and the economic benefits it delivers in both the U.S. and Canada," Wilson said in a statement. 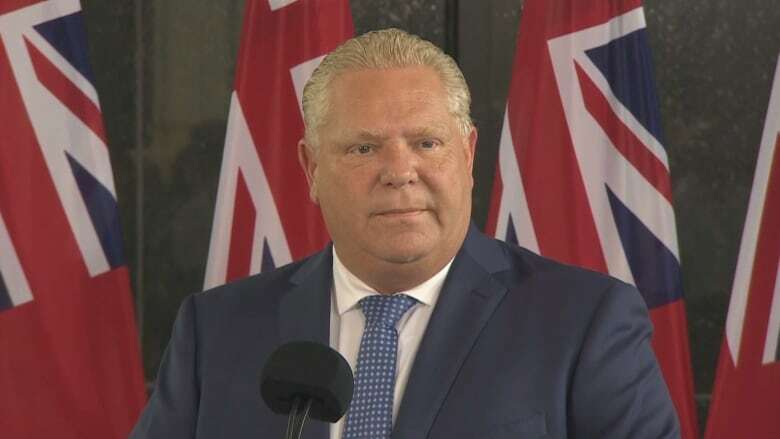 He later told reporters at the Ontario legislature that while he's in Washington he will press the point that millions of American jobs depend on trade with Ontario. "We hope to convince them that they've got more to lose than we do but both sides benefit with a healthy, open border," Wilson said. But he did note that up to 600,000 Canadian auto sector jobs could be lost if the U.S. and Canada get into a tariff battle, according to some estimates. The tumultuous renegotiation of the North American Free Trade Agreement (NAFTA) and the harsh tariffs on the steel and aluminum industries that U.S. President Donald Trump imposed on Canada are among the key issues driving economic worry in Ontario. Trump has also floated the idea of slapping tariffs on Canada's auto industry, which would likely have a severe impact on Ontario, the heart of the industry. Since Trump's election in 2016 several states have also stepped up their protectionist trade measures and already imposed or moved toward "Buy America" laws that restrict Canadian businesses from working in their jurisdictions. Smith led Ontario's efforts in fighting against those provisions, which were ultimately imposed by New York State. The role in Washington involves both representing Ontario's interests to American lawmakers at federal and state levels, and advising the premier on what is happening in Washington and how it could affect the province. Several other provinces have representatives in the city, including Alberta and Quebec. Smith was appointed to the post, which is based out of the Canadian embassy, by former Liberal premier Kathleen Wynne in August of 2013. Before that, Smith was an adviser to Wynne, and had also served as a Liberal MPP and cabinet minister in Dalton McGuinty's government. She left politics in 2011. Smith's relocation is already underway, but there are a handful of other staff who are still working at the Ontario office at the Canadian embassy in Washington. Wilson said he's known Smith for a long time and that her removal wouldn't have come as a surprise given that it is an appointment by the premier. "Monique, who I know very well, would not be surprised that the new government, as all governments do, will put their own representative in place and put our stamp on the trade file," said Wilson. "Right now, I'm the representative and happy to do that, we're boosting it to the ministerial level which is one above the bureaucrat level," Wilson. Ford has been urged to keep the position in Washington by opposition MPPs who view it as a valuable one. Some key industry representatives agree it should be kept as well. Before Ford was sworn in on June 26, a transition team member told CBC News that decisions about the Washington post were in the "early stages." Ford has said Ontario will execute a "full court press" when it comes to lobbying for the province's interests in the U.S. and that he plans to spend a lot of his own time south of the border. "I'm going to be travelling to every single state. 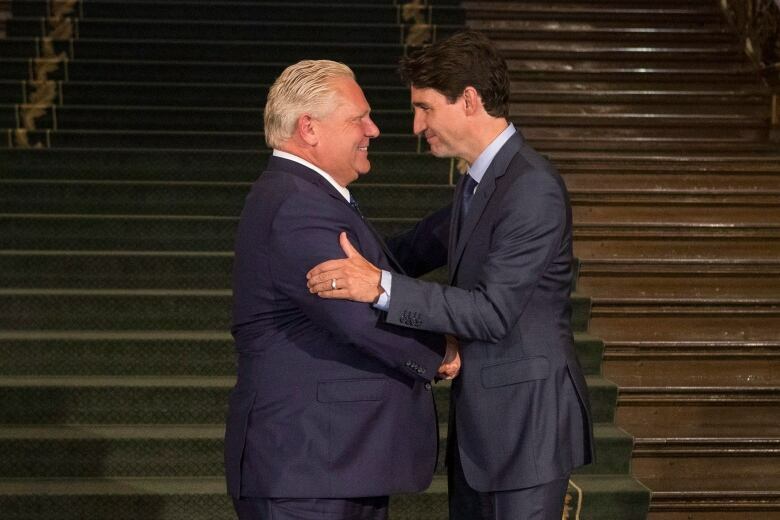 Nothing is better than meeting someone eye-to-eye," Ford said last month during a news conference with federal Foreign Affairs Minister Chrystia Freeland. Ford has also said he intends to work closely with the federal government on NAFTA talks to ensure Ontario jobs are protected.